Accents have been redesigned to look more balanced. They’re a bit taller so the overall font size may appear smaller in some applications. Many more languages are supported. OpenType fractions and numeric ordinals have been added. Mathematical operators have been redrawn. The star shaped bullet has been replaced by a more conventional bullet. The original star is in the star glyph position (Unicode 22C6). Vertical metrics have been altered to allow for taller accents and cross-browser compatibility. 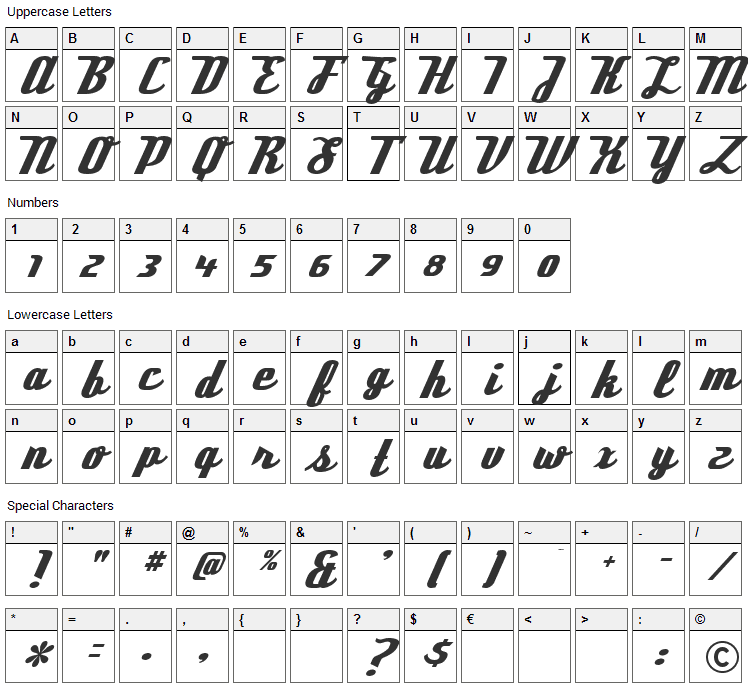 Deftone Stylus font contains 170 defined characters and 169 unique glyphs. 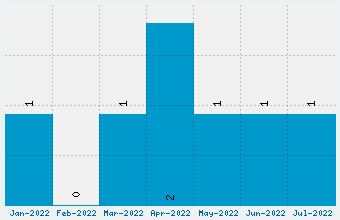 The font contains characters from the following unicode character ranges: Basic Latin (86), Latin-1 Supplement (68), Latin Extended-A (3), Spacing Modifier Letters (3), General Punctuation (8), Letterlike Symbols (1). 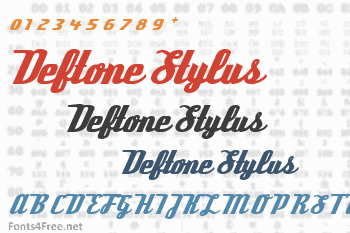 Deftone Stylus is a script, calligraphy font designed by Typodermic Fonts. The font is licensed as Free. The font is free for both personel and commercial usages. In doubt please refer to the readme file in the font package or contact the designer directly from typodermicfonts.com.